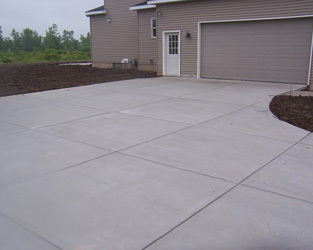 R. Broad Concrete offers a variety of flatwork; Driveways, Parking Pads, Patios, Sidewalks, Stamped Concrete, Basements & Garage Floors tear-outs & replacements, Pole Barns, Basements. 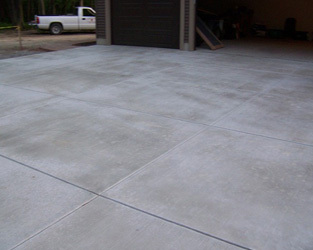 Whether your replacing your old concrete or putting in a new concrete for the first time, using the best material & proper installment is a must. 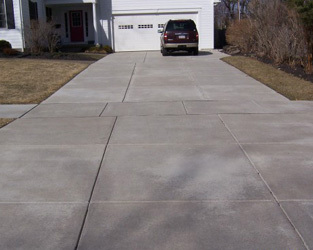 Concrete can last a lifetime. 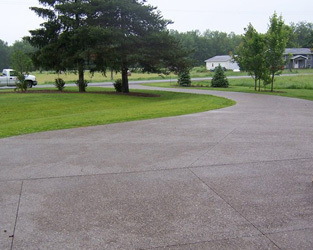 All our flatwork is poured between 4" to 5" thick using a 4000 psi mix with buckeye fibermesh. 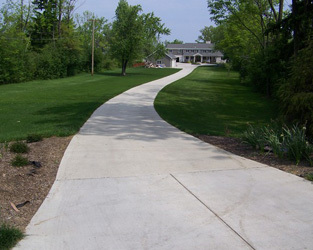 All driveways, sidewalks, patios, and floors are poured on top of a gravel base. 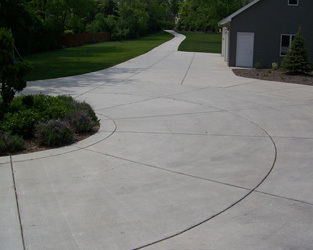 We always protect your concrete by using a high quality sealer. 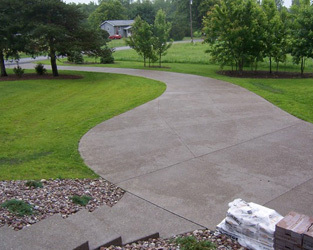 We take special pride in the flatwork around your home. 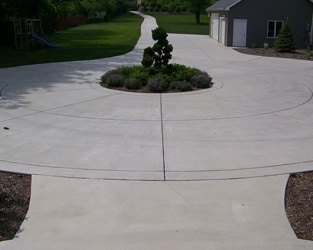 The driveways, walkways, and patios around your home will be exposed for the world to see.